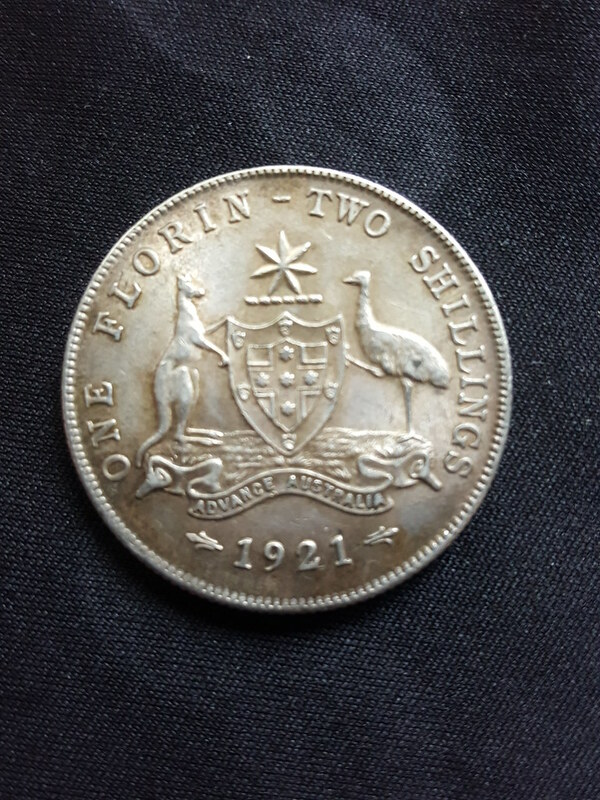 Here are pictures of my 1921 Australian Florin, Picked up at a car boot for 50p, Any ideas as to whether I should get it graded. 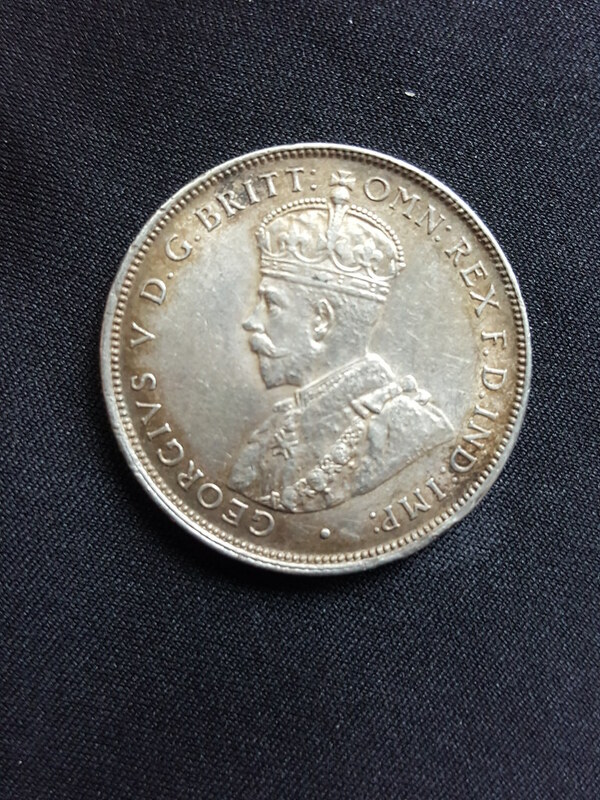 I know it may be worth a bit more than 50p but unsure if its worth getting graded or where to go.. any help appreciated. That's a very nice find for 50p. Personally I wouldn't get it slabbed but if you're just looking to sell it it might be worth it. Excellent find - probably worth a few hundred AUD in that condition. The obverse looks like it may have been cleaned so a third-party grader would likely not grade it I think. Thing is the Aussies are a funny bunch and they love their slabs even more so than the USA. They trust nobody and rely solely on TPG to confirm or deny if a coin is exactly what it says on the tin. For a coin that on the book on NGC $500 @ XF-40 which that probably is and Renniks quotes $1350 AUS for EF and even given a details frade if cleaned is still going to be worth the time and money invested to get it slabbed. Lesser know coins I agree but when it comes to what can be £100+ per 1/2 grade I wouldn't want to be haggling who's grade opinion is more accurate yours or the buyer. By US standards, this has the details of an EF45 minimum. If the surfaces are not hairlines or negatively impacted from an enhancement, it should straight grade. Good luck if you submit it and if you choose to do so, post the grade so we can see how this turned out.